Over at my other weblog, noting that the Indian press is finally starting to simply report the substantive contents of the Rakhigarhi results. As we all know the media can distort and misrepresent, so we need to be cautious and wait on the final paper, mostly because with that the authors can speak freely and without intermediation. But, I have heard through the grapevine the general results, and the results are exactly what Outlook India is currently reporting. The Rakhigarhi samples themselves aren’t that interesting to me. But, Niraj Rai seems to be pushing the admixture event with IndoA-Aryans after 1500 BC. This could be a misquote, or, it could be that the researchers from various groups now have enough data to fine-tune their parameters so as to narrow down various admixture timing events. Isn’t this nonsense? Can Rai actually say this or media mangle things this badly? Yes it is absolute nonsense. And I m also quite bemused by Rai continuously coming to the media and loutmouthing. How can you openly talk about the results before the paper has come out or is going to come out in a matter of days or hours ? Rai has been doing this since months. And no other geneticist is talking about it except Rai. I find this fellow very unreliable and untrustworthy. stop bullshitting. the indian media has been full of nonsense. otoh, the thrust of the results are not ones you like, so you’ve started seriously bullshitting. it’s getting annoying. All along we have been given the dope that North Indians are a 3-way admixture ( AASI + Iranian farmers + Steppe). Now I am to take out one component altogether. Almost like a Stalinist communist regime, where the party revises a line with no explanations, and proletariat accept it without questioning. have you ever been “quoted” in the media? tbh i would give him the benefit of the doubt here. I thought Brahmins were thrice born? If reincarnation were true (don’t know yes or not) then karma, caste all makes sense.. I would just love a fight b/w our 20000 B.C Kumari Kandams vs 30000 B.C harrapans to see who wins. like how do you arrive at a number ? Why twice/thrice born and not nine times born? I know we marry for 7 lifetimes.. The phrase twice born comes from the 2nd “birth” – the upanayana ceremony. Historically, it’s not a term brahmins would use to set themselves on a pedestal. The article titled “After Meluhha, The Melange” by Indologist Michael Witzel present packaged with this bundle of reportage is interesting. 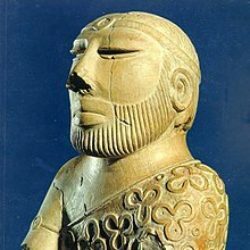 From what I have read, he still seems to stand by his “Para-Munda” hypothesis given that in most of these aDNA research studies, the Indus is more or less assumed to have been dominated rather strongly by the West Eurasian Iranian agriculturists and not the likely East Eurasian bearers of early Austroasiatic languages of either southern China or Southeast Asia (even if we consider that Austroasiatic languages have an east Indian Gangetic homeland, we still think it likely for the Indus to have spoken some language of the West Eurasian Iran farmers rather than the Gangetic AASI’s hypothetical Austroasiatic language, no?). Also, the exact picture in his mind of the nature of relationship between this language and the actual Austroasiatic Munda is not detailed to us, except he says, “it shares only part of typical Munda traits”. Maybe he believes in mostly just a prefixing Harappan language- as it was speculated to have been by some other linguists such as Manfred Mayrhofer too- that may not be genetically related to the Austroasiatic languages? But then why retain the rather confusing name “Para-Munda” and not use his own later coinage of “Kubha-Vipas substrate” for that language? He also argues that all the connections about the later Mahishasura, etc. with the Indus phenomenon of buffalo domestication, evidence for the presence of what seems to be some sort of buffalo cult in the Indus seal pictures, etc. are invalid because there are vast time differences between the Indus and the Hindu myths. Now I’m no philologist but to my eyes, some form of buffalo cult seems to be rather strong across several parts of India- both Sanskritic and pre-Sanskritic non-Sanskritic. Could the academic philologists on this forum knowledgeable about the matter make some comments? Thank you all very much! Basically , the IVC material remnants are so sparse that you can read lot of things into that culture. Language – forget it , we are no wiser today than 100 years back. IVC speculations have become cottage industry in India. In Razib’s web page, I expresses skepticism regarding Wirtzel’s para-munda theory. Basically, Munda, while intrgressive to India 1500-2000 BC, does not have a broad influence on genetics and language. the Munda languages are distinct from other Indian languages (“Characteristics of the Munda languages include three grammatical numbers (singular, dual and plural), two genders (animate and inanimate), a distinction between inclusive and exclusive first person plural pronouns and the use of suffixes or auxiliaries to indicate tense” as an example from unreliable wiki). There are other tonal and consonant sequences (missing except in word middle) that are hard to explain here. Para-munda is a figment of Wirtzel’s mind or a model. The language before 1500 BC prior to the arrival or steppe, was Dravidian, yes, but conclusive evidence is missing. Dravidan languages in 3rd millennium BC is a bit unclear. To be honest, the genetics of the people before steppe migrations is just being worked out. Let us not add our own theories on top of that. Yes you both wise people above are quite right, I believe. It may be because I’m just very passionate about this and my newfound passion about the matter demands that answers to these questions be found with the snap of a finger. But even I used to be very wary about philology mainly due to personal reasons such as not being able to afford time to study it in amateur fashion, etc. and it is only recently that I’m rather halfheartedly allowing myself to know about philological theories about buffaloes, etc. and spending in flux, attracted to them sometimes and opposed to the vagueness in the connections at other times. But in linguistics I have always engaged in and I think that I really did gain some important insights into the situation solely through linguistics and when accompanied by a somewhat arduous clearance through my own self-imposed opposition to what seems to be a general consensus that says Indo-Aryan at all stages had increasing Dravidian-like substrate influence on itself. I used to question the nature and intensity of this substrate effect due to my allegiance to other ideas such as the entertaining of an altogether different and relatively completely unknown substrate in Indo-Aryan and believing that to have been the Indus language, associating the extant Dravidian with the beginnings of the Southern Neolithic (which now seems quite a bit ancient to be correct for the extant Dravidian languages), etc. but as days pass, it feels more and more the case that Dravidian or at the very least a structurally Dravidian-like language did enormously impact Indo-Aryan. Old Indo-Aryan Vedic Sanskrit with its retroflexes or not, Modern Indo-Aryan with its increasingly agglutinative grammatical structure and dative case postpositions like ko which is very likely an exact cognate of Proto-Dravidian *kku do definitely seem to have an influential Dravidian/Dravidian-like substratum. And one of the most baffling things is that these sorts of Dravidian-like substrate influences are seen in inner heartland languages like Hindustani while not showing up in its ancestor Sauraseni mostly and not just languages with known Dravidian contact like Marathi, Odia, Sinhala and perhaps Bengali, though Bengali seems to us to be again more or less like Hindi and thus curious (I came to know recently that Bengali also has some very Dravidian-like suffixes, such as the use of -rA to indicate plural or things like that (am not very sure about my the specifics here)). The biggest personal issue in all this business is that this tremendously muddies the picture and understanding I have about the Dravidian language presence in south India (whether whole India was more or less Dravidian by 1500 BC or whether Dravidian entered south India only after 1500 BC and some other such questions). Coupled with the fact that at least the urban Indus looks remarkably unlike all later Dravidian on the first glance (though it does not also very much look like the Indo-Aryan). The scenario seems to be that the scale of demoralisation experienced by the urban people after their collapse might have been so extremely high. That drought seems to have been very severe. You can also throw Pakistanis in Team A. I hear that they are enthusiastic supporters of AIT. 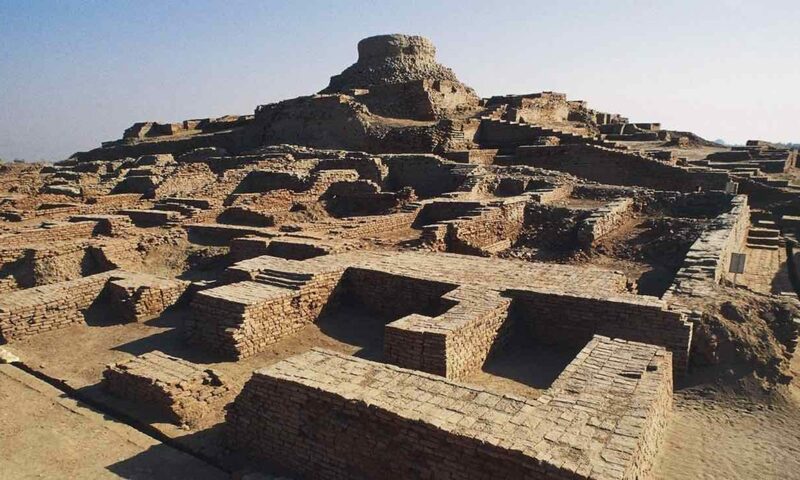 Scenarios of barbarians from north laying waste to a flourishing Indus Valley civilization and imposing a brutal caste system on defeated population fit quite well with their world view. fwiw, i think there is some serious garbling in the quotations going by what has happened in the past. no steppe ancestry in the mature harappan samples. that’s what matters. i never got witzel’s munda thing. the genetics is pretty clear they are intrusive from east asia. their language is austro-asiatic. There were aliens who visited Sri Lanka, either using spaceships or or a space elevator (ref1). They mated with the locals or had a whole dynasty. Eventually they spread northward into South India (becoming farmers) and then into Harappa and then onward to Iran and continued farming (ref2). ref2: I am farmer caste, and kind of look like the BP icon, at the right angle. Plus my Y-DNA is J2b2 which I think maybe the same as some Harrappa.